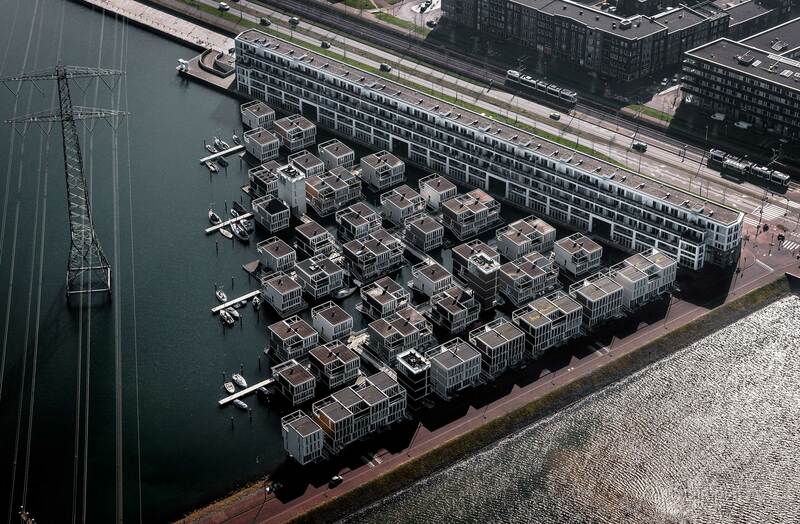 These are no ordinary houseboats, but real floating homes. 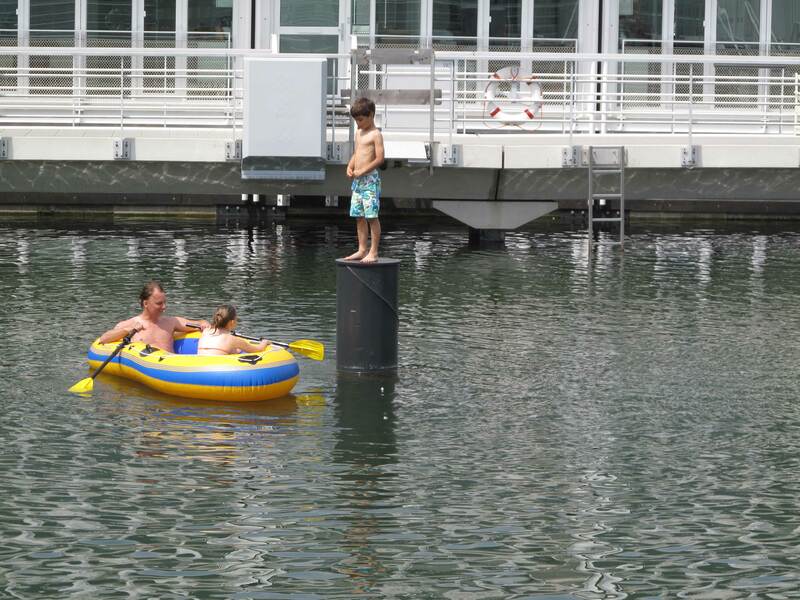 The homes are floating adjacent to jetties and moored to two steel piles. 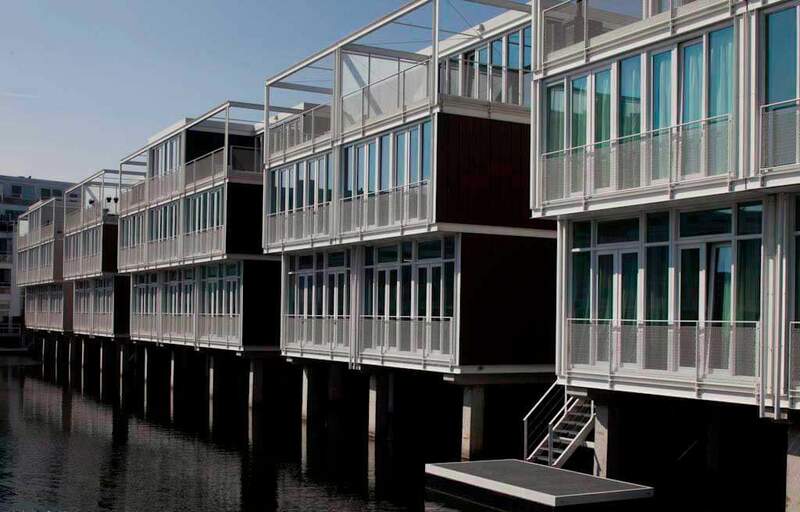 The homes can only move in vertical direction with the changing tide. The jetties themselves have concrete pile foundations. The jetties are interconnected by bridges that open. 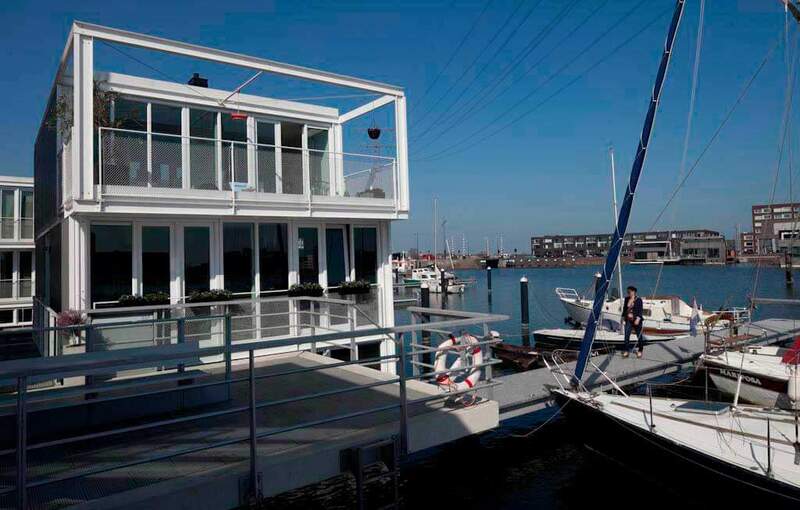 There are three types of floating homes: solo (completely detached on all sides), duo (two connected to each other) and trio (three connected to each other). 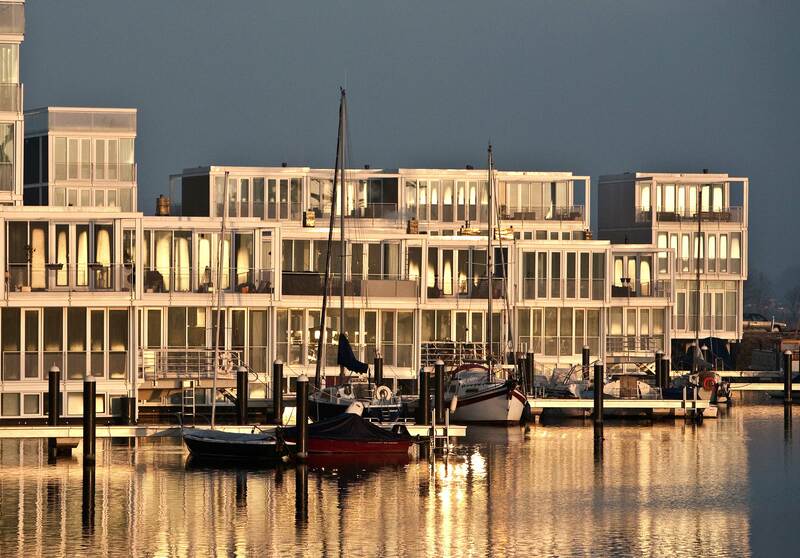 Each home has a large terrace on the highest level, a mooring and a floating terrace overlooking the water. 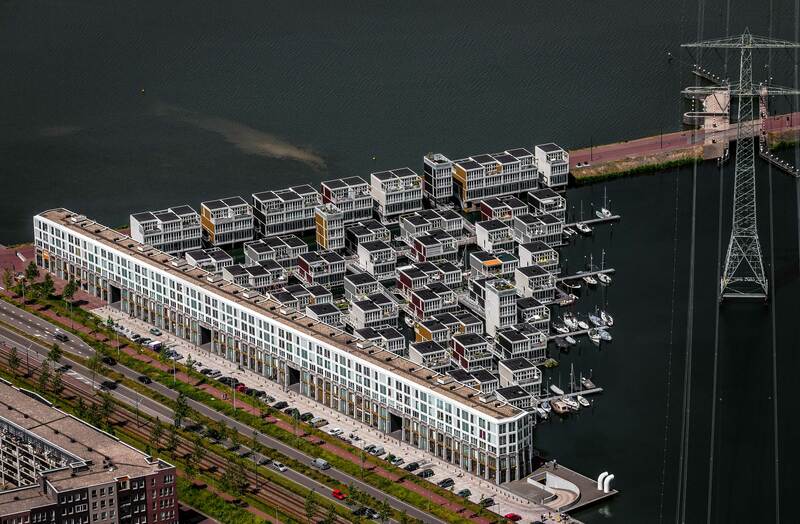 On the edge of the Waterbuurt, there are 17 homes on pile foundations in the Haringbuisdijk. The bridges between the jetties are marked by three small towers. 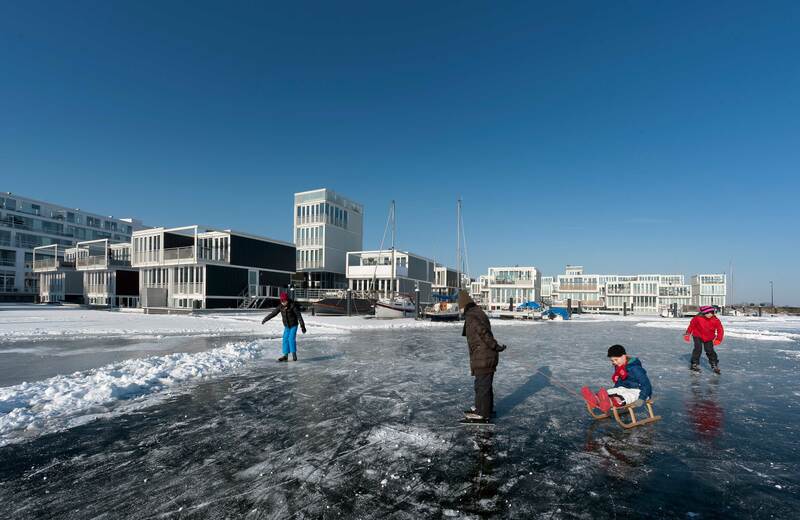 The combination of housing and boats gives the area a marina atmosphere. 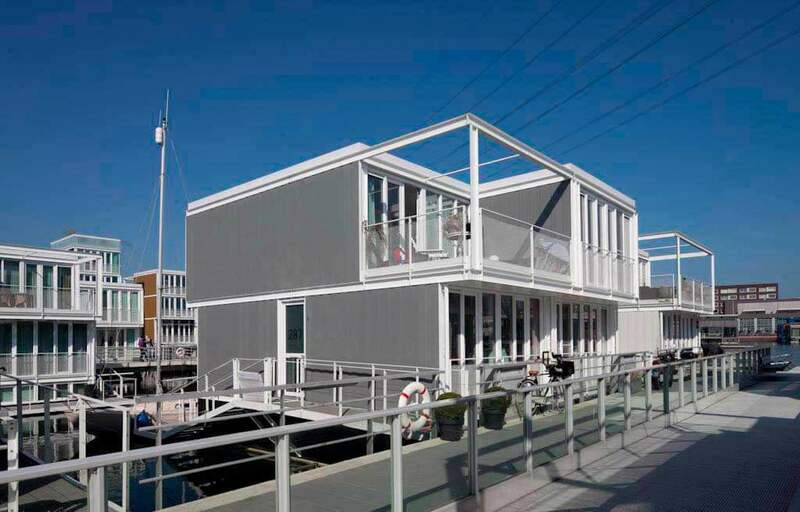 Architect Marlies Rohmer gave the houses a “no-nonsense design, basic, referring to the water world, and comfortable at the same time”. The building materials are light in colour. Front and rear are white, with a lot of glass. Synthetic laths line the closed walls at the side, softening the overall look with their off-white and brown shades. All homes have designed with a lot of “options” – extra’s buyers could choose from. 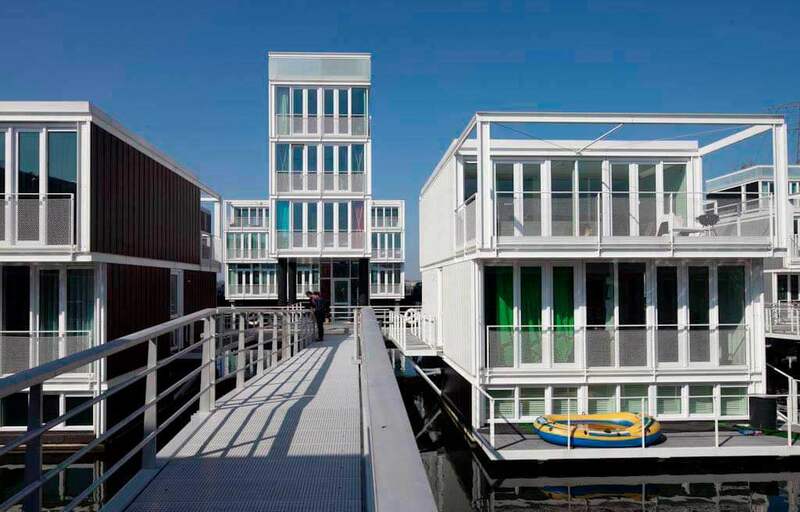 For instance floating terraces, second entry, a boardwalk around your home.